I bollixed this tasting before it started. I like writing theme tasting stories: great Anderson Valley Pinot Noirs, or Napa Valley Merlots. That's reader service. I wanted to do a story like that about Paso Robles wines. All I had to do was pick a grape. But I failed. This story is like the replacement dinner you make when the dog grabs your steak off the grill. This is the upgraded-to-main-course pasta. I hope it's still pretty good. But as your chef, I apologize in advance. Paso folks were coming to Oakland for a trade tasting. I asked if I could do a blind tasting in a separate room. Any media could join me. The wineries could have the bottles back afterward, so no waste of wine, which I always feel bad about. Jason Haas, Chairman of the Board of Directors of the Paso Robles Wine Country Alliance, said sure. All I had to do was pick a category. I wasn't sure which wineries would be there and what their strengths are. So I made some proposals. Red Rhones other than Syrah; I think this is Paso's best category. But I hedged. I wondered how many good white Rhones they would have, and what kind of vintage it was for Zinfandel. I'm not a fan of the category Paso is always trying to push, Paso Cabs, but how to put that gently? Well, I dropped the ball. I never made a demand, so I ended up with four mini categories, none with enough wines for its own story. I got 41 wines total with an average price of $35. The highest price was $75; the lowest $14.99. And I got them in four categories: White Rhone varieties (8), Red Rhone varieties (10), Zinfandel (7), and Bordeaux Varieties (16). Here are the best wines, not quite in order of preference, but I do start with my favorite. I have only published the wines I considered worth 90 points or more: 12 out of 41. That's good considering how unstructured my request for samples was. This isn't much of a story, but these are good wines. USA network, home of Mr. Robot, is developing a wine TV drama that sounds like a fictionalized version of Rudy Kurniawan's story. 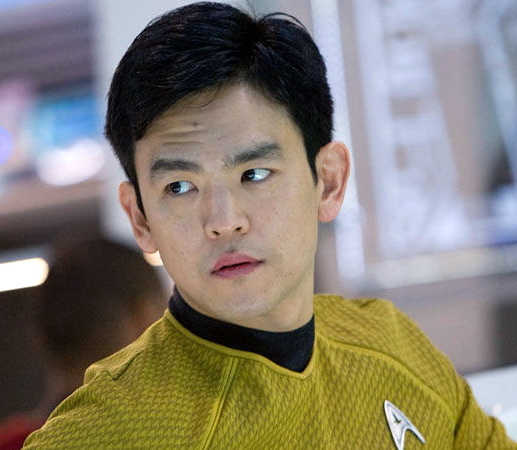 Variety reported Wednesday that the show, tentatively titled "Connoisseur," will star John Cho (Sulu from the recent Star Trek movies) as "a brilliant con artist who dupes the wealthiest, most powerful people in the country into paying millions for fake wine, but his hustle forces him into a deadly bargain with an organized crime syndicate (and) puts him in the cross-hairs of the FBI." Yep, that sounds like Rudy. Another online publication mistakenly made a comparison to the recent Premier Cru saga, but that was about undelivered wine, not fake wine. Gotta keep your wine scandals straight. "Connoisseur" could be a very important program for fine wine, particularly for the top Bordeaux and Burgundy wines that Kurniawan counterfeited. The natural reaction of those wine producers may be to shudder ("Our wine is going to be shown as counterfeit goods?") but that would be misreading the history of wine in media. For decades California has had two great wine-teaching universities: UC Davis and Fresno State. Davis is more famous internationally because of its research program, but Fresno State has long been praised as a school with plenty of hands-on winemaking experience for students. Now, however, Fresno State's Department of Viticulture and Enology is in turmoil. James Kennedy, who had been chair of the department, left for a job with Constellation Brands last year, and the job has still not been filled though the university says on its website that it's now taking applications. Kennedy, a California native and expert on tannin chemistry, came from the Australian Wine Research Institute after the previous chair, Robert Wample, left to be a viticulture consultant. "It is heartbreaking," said a source with knowledge of the situation. "Jim Kennedy was an amazing catch for CSUF, and the regents failed to appreciate and empower him, driving him to the private sector same as his predecessor, Bob Wample." Last month I wrote a story about Replica Wines, a Colorado company that claims to have reverse-engineered the formula for several popular wines. Replica liked the story, apparently so much that you might see my verdict of the company's imitation of Kendall-Jackson Vintners Reserve Chardonnay on a shelf talker. (Read the story here.) The company wanted me to try its new imitation of Rombauer Chardonnay, called Retrofit, so it sent me the wine, along with a bottle of Rombauer. I learned something about the way ordinary consumers buy wine, because there's an interesting twist after the blind taste test. For Replica's versions of K-J and The Prisoner, I invited a professional food writer to blind taste with me. For Rombauer, I asked a friend who drinks wine but is a non-connoisseur: he doesn't know the grapes that go into Burgundy, for example. It seemed appropriate because Rombauer is one of the most beloved wines by non-connoisseurs. I set up the tasting the same way as the previous blind taste-off. Peter Sichel's life is like a novel. It's like Forrest Gump if Gump were smart. A German-born Jew who fled the Nazis, barely getting out of Vichy-era France, Sichel returned to Germany as a station head for the CIA. His espionage work led him to life as a pampered spy in Hong Kong before he gave up the spy biz because he didn't like what the CIA had evolved into. Sichel's book, "The Secrets of My Life: Vintner, Prisoner, Soldier, Spy" is three-quarters done before he gets into the wine trade, but once there, it is also eventful. 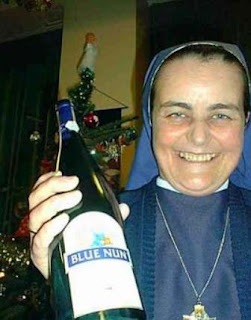 He entered a corrupt world of wine sales in New York and Bordeaux -- ironically, coming from the CIA, he comes off as a bit of a goody two-shoes -- before marketing the massive international success that still haunts German wine, Blue Nun. It's a compelling autobiography, and it's also instructive for why so many wine books are boring.